The article below is comes to us from the Castle Studies Group 1999-2000 newsletter. It's an informative and enlightening look at how Cadw: Welsh Historic Monuments, is working hard to help preserve the castles of Wales. Follow this link to learn more about Cadw, including how to become a member. I would also encourage those of you who have not already done so to visit the Castle Studies Group web site. CSG members include many of today's leading experts and authors in the fields of castle research and archaeology, and I encourage any British castle enthusiasts to not only visit the site, but to also consider joining our group. Membership is open to all. David Cathcart King's Castellarium Anglicanum lists 427 extant castles in Wales. Of these, 319 are earthworks and 108 stone castles. As one might expect with such a concentration in one area, castles form a significant portion of the medieval monuments in state care and managed by Cadw, and much of Cadw's ancient monuments grant-aid budget is dedicated to castle conservation. This note sums up Cadw's work in this area over the fifteen years since the agency's creation out of the former Ancient Monuments Branch of the Welsh Office. There are 129 monuments in state care in Wales. Of the 87 dating to the medieval period, 42 are castles and a further 5 are stretches of town walls. During the last 15 years, along with the town walls at Conwy, six of these castles - Laugharne, St Quentins (Llanblethian), Oxwich, Dryslwyn, Dinefwr and Dolforwyn - have been the subject of large-scale, first time, programmes of masonry consolidation. 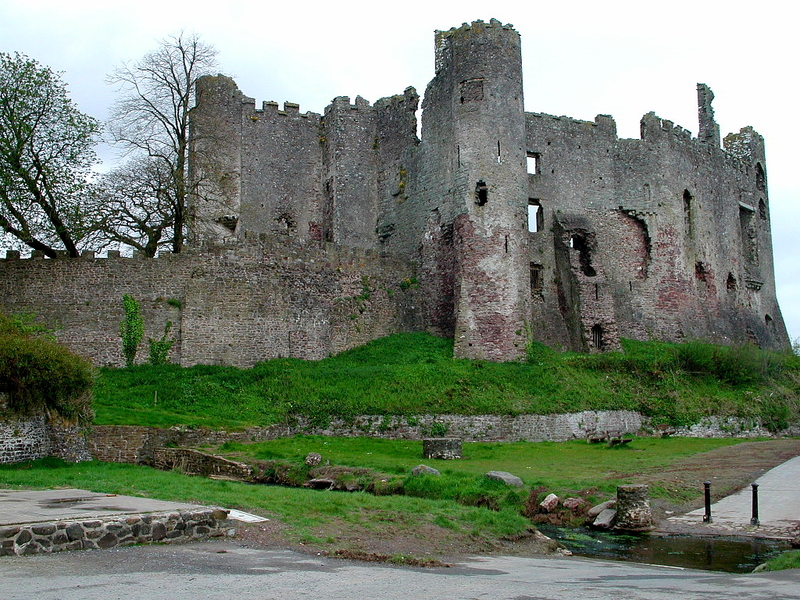 Major archaeological excavations have also taken place at Laugharne, Dryslwyn and Dolforwyn. 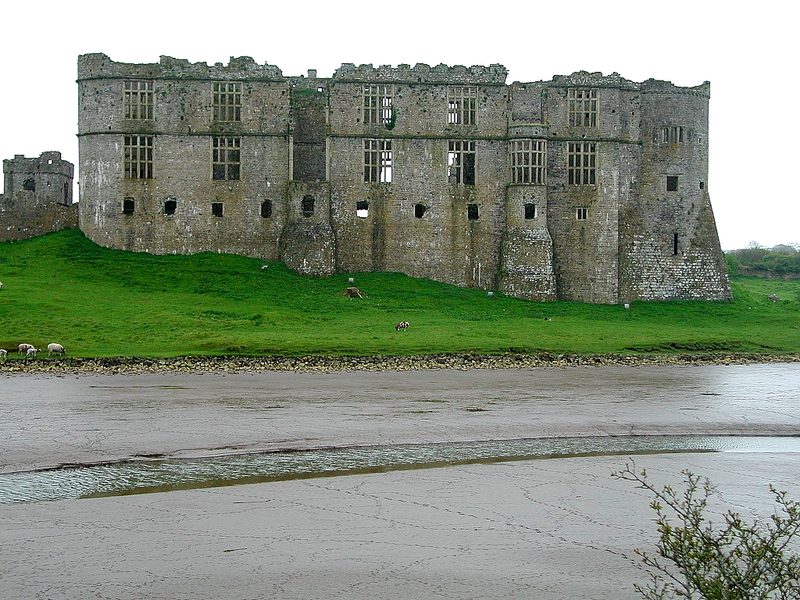 Eleven other castles have undergone lengthy programmes of masonry reconsolidation, most recently those at Flint, Rhuddlan, Harlech and Chepstow. Outside the state sector, the last fifteen years has seen a much greater willingness on the part of Welsh local authorities and national parks to invest in the conservation of monuments already in their care, and some have been sufficiently far-sighted to take on new monuments, along with the attendant financial liability for their conservation. The most notable examples have been the acquisition of the magnificent Anglo-Norman castle, later the Tudor home of Sir John Perrot at Carew by the Pembrokeshire Coast National Park, and the castle of the Welsh princes of Powys Fadog at Dinas Bran above the River Dee by the former Clwyd County Council. In both cases conservation work has been supported by very substantial grants from Cadw. In many ways the oft maligned Manpower Services Commission (MSC) turned out to be a key player in galvanising local authorities in the early 1980s. An excess of cheap labour called for public programmes of work, and doing up the local castle came into vogue - not always with an entirely satisfactory outcome. However, this did provide an opportunity for Cadw, and like-minded organisations, to encourage local authorities to place the care of their monuments higher on their agendas and, through scheduled monument consent procedures, ensure that the work was done to an acceptable standard. In tine MSC labour was replaced by skilled local authority and national park labour forces or contractors until today there are very few monuments in public ownership which have not been adequately conserved, almost always with grant-aid from Cadw. European money grants from the Heritage Lottery Fund (HLF) have also opened up funding opportunities. However, the private sector picture is far less rosy and this is where most of the castles at risk in Wales are to be found. Over the fifteen years of its existence Cadw has provided £2,030,179 in grant-aid for the conservation of masonry castles and town walls throughout Wales, generally meeting 50% of the costs. Only £246,110 of this was in response to requests from private owners, and of that sum £199,290 was spent at just four castles - Manorbier, Hay, Usk and Newport (Pembrokeshire). The problem often lies in persuading private owners to come forward with proposals which can attract grant-aid. The problem is an obvious one. Conserving ruined masonry is very expensive. Owners who may be willing to apply for grants to keep a historic roof over their heads are generally far less altruistic when it comes to parting with money to prop up a ruin at the end of the garden or at some remote location on their estate. Often these structures are regarded as nuisances, a protected hazard which they would rather be without. Although there are powers within the Ancient Monuments and Archaeological Areas Act 1979 for the state to compulsorily acquire an ancient monument to secure its preservation, these are only used in exceptional circumstances. A far more satisfactory route is to work with the owner to concentrate limited resources on the most pressing needs of the monument; to offer a higher percentage grant or to encourage a local authority or national park to put together a grant-aidable funding package with the owner to conserve the monument as part of a wider public access arrangement. Finally, the owner, particularly if the monument becomes a hazard to the public, may chose to give the monument to Cadw, the local authority or national park or place it in guardianship, retaining the freehold. While tumbling masonry is seen as the most pressing manifestation of castle decay, we must not forget that earthworks form the remaining three-quarters of the castles in Wales, and some of these are vulnerable to vagaries of agricultural activity. As a result of a scheduling enhancement exercise carried out by Cadw ten years ago, 89% of Welsh castles are now scheduled as ancient monuments of national importance. This means that the vast majority of earthwork castles are visited once every five years by Cadw's Field Monument Wardens and their management discussed with owners. In twenty cases this has led to the owners entering into management agreements with Cadw to undertake an agreed programme of annual maintenance. 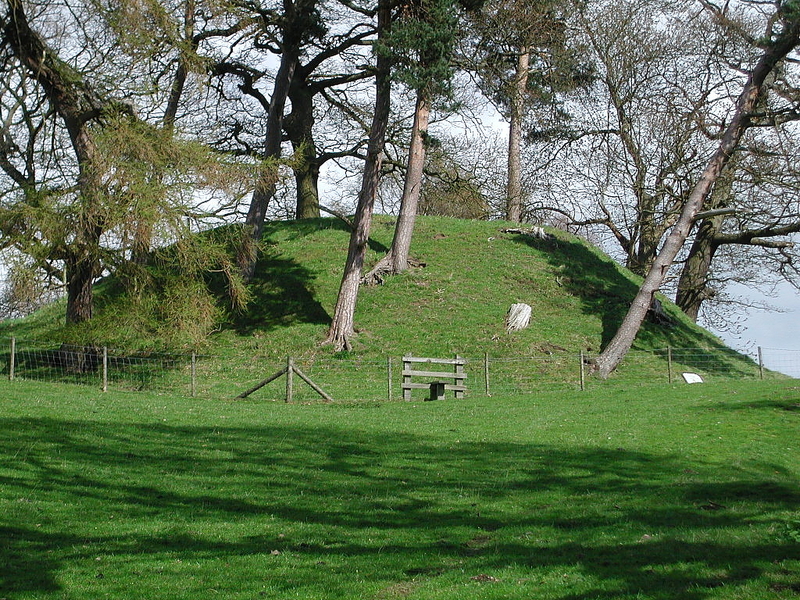 £32,471 has been spent over the last fifteen years on grant-aid programs of earthwork repair at Welsh castles with two of the most notable successes being at Owain Glyndwr's Motte near Corwen and Maes-y-Celyn motte and bailey near Crickhowell. For the future, the new all Wales agri-environment scheme, Tir Gofal, which is administered by the Countryside Council for Wales, is a source of optimism with one of its four key aims being to protect the historic environment. This means that farmers who enter the scheme will be required to manage historic features on their farms, including earthwork and stone castles, in a more sympathetic manner, for example by avoiding the classic problem of overstocking which has led to much earthwork erosion. Earthwork repairs can also be included within works for which one-off capital payments will be available. None of this will result in an overnight change in the condition of monuments, but we should see progressive improvements as the scheme is taken up more widely across Wales. In conclusion, of the 108 stone castles on Wales, 42 are in state care and 17 have or are receiving grant-aid from Cadw which will result in their complete conservation. The town walls at Pembroke and Tenby have been fully conserved with grant-aid. Of the 50 remaining stone castles, 10 have received some grant-aid over the last fifteen years and applications to the HLF are being prepared for three of these. However, most of the remaining castles are privately owned and some remain at risk and a cause for serious concern. Cadw will work with private owners, local authorities, national parks, the Countryside Council for Wales and the various funding agencies, such as HLF, to bring all available resources to bear on this problem. The last fifteen years have shown that persistence backed up by grant-aid does, however gradually, make a difference.